On occasion, the driver required by the wysiwyg or Vivien dongle does not install correctly while the software itself is being installed. In such cases, you may have to follow the procedure below in order to correctly-install the driver (manually). To check if the dongle is associated with Windows, click Parallels’s USB button ( ) and ensure that the USB Token item which appears in its list, is checked. IMPORTANT NOTE: If you have never associated the dongle with Windows before, doing so now may be all that’s required here; after doing this for the first time (i.e. if the USB Token was not checked when you first clicked Parallels’s USB button and you just clicked on it to check it) please try to run wysiwyg/Vivien again; if the “dongle not found” error continues to appear, simply proceed with the instructions below. It is recommended that you read through the entire procedure below before you start following its steps, in order to familiarize yourself with what needs to be done. While running through the procedure, should you encounter a step that you cannot perform for whatever reason, please stop and notify CAST Software Technical Support by providing the details of why you were unable to perform that step, along with any necessary screenshots. 1. Open the Device Manager Control Panel. (For information on accessing, opening and using control panels, please see Windows Help or search Google for this information). 2. Scroll down the Device Manager list and click “+” to open the “Universal Serial Bus Controller(s)” tree. 3. Right-click on SafeNet USB SuperPro/UltraPro and select Uninstall in the menu that appears. 4. Once the device has been uninstalled, unplug the dongle. PLEASE DO NOT PLUG THE DONGLE BACK IN UNTIL STEP 16 BELOW! 5. Close the Device Manager. 6. Open the Programs and Features Control Panel. 7. 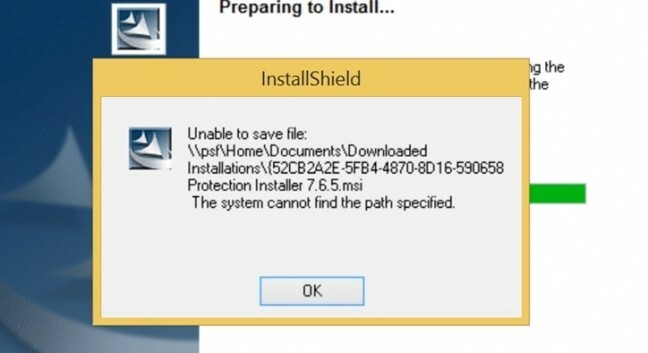 Right-click on Sentinel Protection Installer and select Uninstall in the menu that appears. If you cannot find the Sentinel Protection Installer here, please skip ahead to step 13. 8. Follow the steps in the wizard that appears to uninstall the dongle drivers. 10. Click here to download SSD Cleanup, a tool which will remove any and all remaining traces of dongle drivers from the computer. Please ensure that you download the correct version (32bit or 64 bit), depending on the version of Windows that you are using. 11. When the download completes, run SSD Cleanup. The removal process may take some time; please be patient on this step. 12. Once SSD Cleanup completes its run, restart Windows once again. 13. Click here to download Sentinel Protection Installer from the link above; save the file to the Desktop. 14. Once the download completes, run Sentinel Protection Installer (from the Desktop) and follow the instructions you are presented with to install the dongle drivers. (Should you encounter the error below, simply specify a different path for the installer to work with, for example C:\Windows\Temp). 15. When the installation is complete, restart Windows one last time. 16. Plug the dongle back in and ensure once again that it is associated with Parallels. (If at all possible, please plug it into a different USB port than where it was before.) Windows will take a minute or so to set it up: once this is complete, a notification will appear in the lower-right corner of the screen, stating that the dongle is ready to use. Please wait for this message to appear.